Retail investors weathered many changes in 2018, and have emerged the better for it. Year 2019 is expected to have more of the same. This is the time of the year when we take stock of developments across personal finance and take a peek at the likely developments next year. This year, mutual funds became a favourite with investors and categorisation changes made funds easier to understand. In loans, the central bank asked banks to link their floating rates to external benchmarks. Online transactions got a boost through various e-wallets and the BHIM app. Retail users also got the benefit of more cover under insurance as the minimum death benefit in life insurance was made seven times the premium paid in case of regular premium policies and 1.25 times in case of single premium policies. The government also launched Ayushman Bharat, India's largest healthcare programme. The most volatility, however, was seen in equity. Year 2018 was a true test of Indian equity market's resilience which had to face numerous global and indigenous demons. Despite the volatility, the broadly tracked index S&P BSE-Sensex touched its highest level of 38,989 on August 29, while the lowest level was 32,483 on March 23. By the end of the year (as of December 20), it was down by about 6.56 per cent from its peak. The mid-cap and small-cap space, which was ruling the market at the beginning of the year, witnessed sharper correction. The BSE-Mid cap and Small cap indices corrected 14.5 per cent and 26.26 per cent (as of December 20) from their highs of 18,247 and 20,046, respectively, in January 2018. One of the key events of 2019 will be the general elections. Historically, election years have always been volatile periods for the stock market. "We are expecting the first half (of 2019) to be highly volatile and depending upon the election results, the second half will see the direction of the policies the new government follows; whichever be the government that comes to power," says Gautam Duggad, Head-research, Motilal Oswal Securities. Other experts share this view. "The market is still showing a bearish inclination. A depreciating rupee, rise in crude oil prices and global trade war tensions could pose major concerns. There is more probability of further correction," says A.K. Prabhakar, Head-Research, IDBI Capital. Experts are of the view that there should be a strong government with full majority, irrespective of which party comes to power; otherwise growth will suffer. "While markets would favour any strong government, headed by either BJP or Congress... 1996 type of an arrangement, with a third front being on the helm, with backseat driving by Congress, could be a negative," states a Prabhudas Liladhar Securities report. Global factors will continue to affect market volatility. "The initial signs seen in the second half of 2018 have not been encouraging though. Add to that the escalating trade war between the US and China, and the Brexit conundrum, and you have a near perfect recipe for a volatile 2019," says Rahul Parikh, CEO, Bajaj Capital. "(Year) 2019 will be the first year since 2008 when globally central banks will withdraw liquidity worth approximately $1 trillion. It will be interesting to see how the world, addicted to easy money for the last decade, reacts to this liquidity withdrawal." India has in the past been bailed out of global event risks by strong domestic fundamentals. This time, however, even though the domestic macro environment remains the strongest in over a decade, slowing corporate earnings growth, optically expensive index level valuations, concerns over bad asset quality in banks, slowdown of credit flow to non-banking financial companies (NBFCs) and uncertainty over outcome of the general elections, weaken the story. 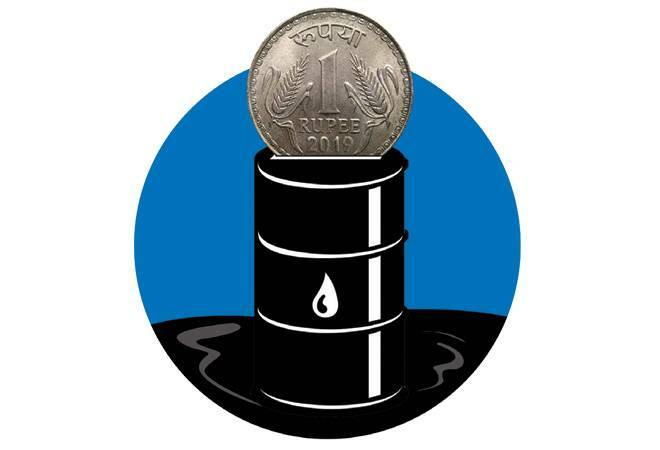 "Crude oil is expected to play a crucial role in deciding the macros for India," says Arun Thukral, MD, Axis Securities. High crude prices were responsible for sending a shock wave through oil importing countries with weak Balance of Payments. Thukral believes that given the correcting crude prices and contained food prices, inflation is expected to come down further. The central bank indicated that if the flagged off concerns (read oil prices and US-China trade war) do not manifest, it opens a window for correction in the policy rates in forthcoming meet - February/April 2019 - which bodes well for growth. In general, valuations may not look very attractive but the major portion of stocks is still well below their all-time highs. Only a select few are at their peaks suggesting that valuations across a large range of stocks are still reasonable. So, you need to look across sectors. Under any market condition, one or the other sector will always do well. Here are some sectors that experts believe will be on the rise. As markets are likely to be volatile, investors should focus on low beta stocks which tend to show low volatility. "As the first half (of the year) is going to be highly volatile, investors should focus on sectors that have a high defensive component, and better earning capability such as consumer goods, auto, banks or IT," says Duggad. Here's a look at some of the promising sectors. FMCG: "Being an election year, there are likely to be large spends on public welfare, leading to more money in the hands of the public in general. Hence, we expect FMCG and consumer durables sector to do well. Higher spends by political parties on media is expected to improve fortunes of print media, which has been grappling with high paper prices and depreciated rupee," says Thukral. Others agree that these sectors could be attractive. "India's per capita income is projected to double in the next 10 years. Imagine the kind of wealth that can be generated from the consumer space, if one gets the stocks right," says Parikh. Auto: Auto and auto ancillaries are facing the risk of liquidity drying up for NBFCs, which play a crucial role in providing financing to customers. As liquidity improves and NBFCs are out of woods, the auto and auto ancillaries sector is expected to improve its performance over the later part of the year. Demand in the commercial vehicle segment is expected to pick up in the later part of the year as the date for implementation of BSVI emission norms, April 2020, starts closing in. Robust harvest for rabi crops in 2018, followed by a good monsoon in 2019 would also augur well for two-wheeler and passenger vehicle segments. Low crude oil prices would further support the demand for automobiles. Banking and financial services: Rate-sensitive sectors - retail banks with deep penetration and NBFCs with proper asset liability management - are expected to do well as credit growth takes off and interest rates correct owing to muted inflation. According to Thukral, select "housing finance companies are expected to be beneficiaries of the rise in affordable/low-cost housing demand." Improving credit demand from the private sector would also benefit corporate banks with good CASA and low-cost liability franchise, he adds. There are many NBFCs that have faced the heat of the IL&FS turmoil and are available at attractive valuations. "The recent fall in markets means that many quality consumer and retail financing businesses in the mid- and small-cap spaces are available at very attractive valuations," says Parikh. Volatility will be the norm for the near future. If you are planning to invest for 3-5 years, take benefit of the subdued market sentiments and take positions in good quality stocks with growth potential, backed by visionary management. "One should stagger his investments over different price points or practice SIP (systematic investment plan) so as to average his cost of acquisition and remain invested for the rest of the investment period to maximize returns," says Thukral. Stock selection is crucial for good returns if you remain invested for long. Hence, you do a thorough research or take help of experts before committing. After making the investment, periodically review them to ensure that the stocks are performing as per your estimates so that your returns target is met. The author is a Mumbai-based freelance writer.